Additional Info: Emmanuel is an award-winning pianist who has played for Her Majesty The Queen & HRH The Duke Of Edinburgh, HRH The Prince Of Wales (who personally commended Emmanuel) & the Duchess Of Cornwall, and the Mayor of London. He also played for the Pope on his UK state visit in 2010. Emmanuel’s musical journey began at the age of just 6 when, through private tuition, he was introduced to classical music. Over the next 8 years, he'd developed a range of techniques from Classical to Gospel to Jazz & Blues, R'n'B and Soul to Folk, discovered he had perfect pitch, and with frequent opportunities in his local church and other venues, developed in his ability to play the keyboard and piano (solo) in public. Having worked with a wealth of artistes and bands, this enabled Emmanuel to experiment & develop his improvisation and spontaneity, producing the flair and diversity that have become his hallmark. Emmanuel has worked with the likes of Ronan Keating, David & Carrie Grant, Ruby Turner, Doris Troy, London Community Gospel Choir, Steve Brookstein (very 1st X-Factor winner), Teish O’Day, Kenny Thomas and Ola Onabule (both Soul-singers), Joshua Alamu (TV vocal coach), Junior Robinson, Kamelia Todorova, his wife Ruth Waldron (formerly Lynch) and many others of which some were being featured for television (including the 'Royal Variety Performance' before the royal family) and radio, nationally and internationally. Emmanuel is the main keyboardist for rising, soul funk GMA award-winning act V9Collective. He is also an accompanist for the ‘Songs Of Praise Choir Of The Year’ winners Maria Fidelis Gospel Choir. Emmanuel has had the pleasure of performing impromptu on stage with George Duke at the Jazz Cafe, London and also with Don Grusin in London too. His music has taken him around the UK and to countries such as Bulgaria, Czech Republic, Denmark, Dubai (world's only 7* hotel), France, Germany, Italy, Jersey, Jordan, Norway, Poland, Russia, Slovakia, Spain, Sweden, Switzerland, Trinidad and USA to name. Emmanuel is also a producer and released his third album ‘Everything U Are’, a smooth soulful combination of instrumental tracks and vocal features at the end of last year (2011). Emmanuel has also recorded two solo piano albums, 'Portrait of a Journey' (2000) and 'Still Waters' (2009). Both albums were recorded spontaneously. He also produced the GEM award winning album 'Lifter of My Head' from talented songwriter & artist - Brian Martin and has been involved in a number of recording projects in the UK and abroad (even for Bollywood). Emmanuel has worked in theatre, having had the opportunity to be music director for the musical 'Simply Heavenly’, which won several awards and was nominated for 'Outstanding Musical' at the Laurence Olivier Awards in 2005. Emmanuel was also the pianist at the Shakespeare’s Globe Theatre for the show 'The Frontline' in 2008 and again in 2009. 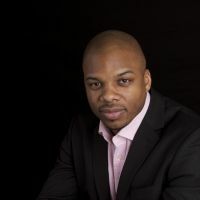 Emmanuel also teaches and conducts piano, keyboard and music workshops from beginners to advanced (mainly Gospel, Soul, Jazz & Blues) both in the UK and abroad. Please go to www.emmanuelwaldron.co.uk for more info on Emmanuel's products and projects. Fees: My fees are negotiable depending on the specific engagement. Please contact me.